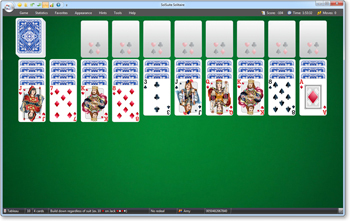 This site contains information about Spider Solitaire, one of the classic solitaire card games. Free Spider Solitaire is a 100% free collection that allows you to play unlimited, full-version Spider Solitaire variations for free. Play Now Spider Solitaire and 4 other fun and challenge Spider Solitaire variations (5 solitaires in all): Rouge et Noir, Simple Simon, Spider Solitaire, Spider One Suit, Spider Two Suits. TreeCardGames - Interesting information about card games. NetSolitaire - Play a bunch of solitaire online for free. FreeCell Solitaire - Information, Rules and how to play. Free Download and Free Play Online.